The Intera-family offers with this member a wide range of possibilities, efficiency and a ergonomic and intuitive serving-platform. Also available as Intera CV for cardiac and Intera I/T for interventional MR procedures.The scanners are also equipped with SENSE technology, which is essential for high-quality contrast enhanced magnetic resonance angiography, interactive cardiac MR and diffusion tensor imaging (DTI) fiber tracking. The Philips Intera 1.5T MRI machine is a high field scanner that affords users levels of customizability to perform exams any way users want. 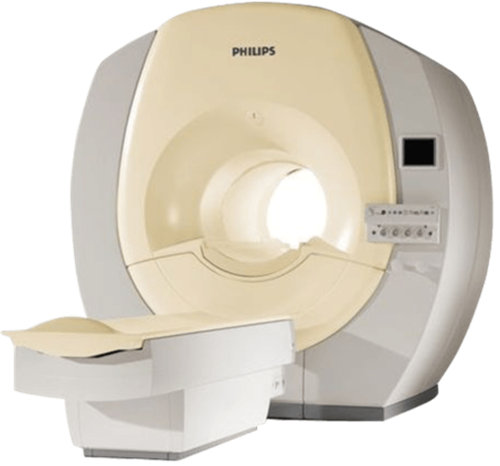 The Philips Intera 1.5T MRI features a revolutionary ultra-compact magnet, excellent image quality and a wide, open, patient-friendly design.